Headed to San Diego Comic-Con this week but still haven’t decided on a costume to wear? 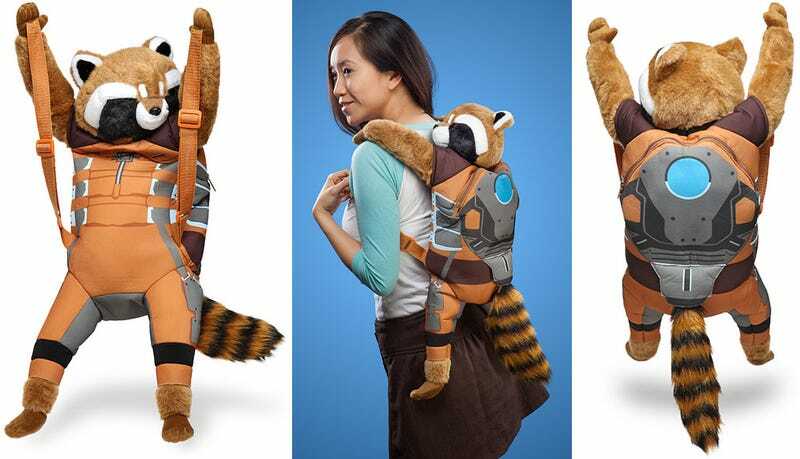 With ThinkGeek’s exclusive Rocket Raccoon backpack, you’re about 25 percent of the way to an impressive Groot getup. To keep the scale mostly accurate, Rocket unfortunately isn’t able to hold anything larger than an iPad or a couple of Infinity Gems. So you can forget about cramming a day’s worth of high school textbooks in there, or even a gauntlet. But his plush head, fluffy tail, and adorable arms that appear to be hanging onto your shoulders, more than make up for those limitations.